From joining Pilipinas Got Talent to We Love OPM, Kaye Cal has come a long way and is now ready to unleash her acoustic soul as she launches her first solo album under Star Music. Kaye initially went mainstream as the lead vocalist of Ezra Band, a Pilipinas Got Talent Season 1 grand finalist. She has eventually emerged as a solo performer, doing covers in her Youtube channel, recording singles for Star Music’s OPM Fresh and Himig Handog, and being part of Nyoy Volante’s team in We Love OPM. This album also includes some of her popular covers like all-time OPM favorites “Why Can’t It Be”, “Ikaw Lang”, and a song collaboration with Maya and Michael Pangilinan, “Kung Ako Na Lang Sana”. It features bonus tracks such as her greatest hits “Walang Iba”, a song originally sung by Ezra Band, and “Isang Araw”, her single under Star Music’s OPM Fresh album compilation. Kaye’s song “Nyebe”, part of Himig Handog’s P-Pop Love Songs for 2016, is also part of the album alongside “Give Me a Chance”, a single included in the successful soundtrack of the TV series, Til I Met You. Her songs in this album will surely become romantic hits as what the singer-guitarist has achieved in her previous acoustic covers. Kaye, who hailed from Davao del Sur, is a proud lesbian and member of the LGBT community. She has been making waves in the music industry with her soulful and uniquely ‘masculine’ singing voice. Catch her perform live at the grand album launch happening on Sunday, March 19, 7PM at Starmall Alabang. 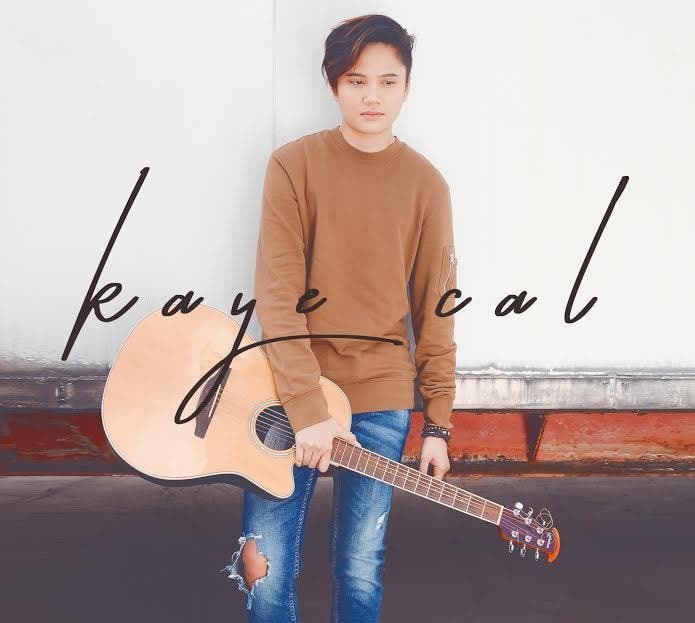 “Kaye Cal,” produced by Rox Santos, will soon be available at all record bars nationwide for only P199. Digital tracks may be downloaded on online music stores such as iTunes, Apple Music and Spotify. For more information, visit Starmusic.ph or follow Star Music’s official social media accounts at Facebook.com/starmusicph, Twitter.com/starrecordsph and Instagram.com/starmusicph.